Eeek! It’s been over a month since my last post and I feel a little out of it! Summer has been so busy for us but I’m loving it. The days are longer, the sun is warmer, and life seems to move at a slower pace. But, I’m back in the kitchen and slowly getting back in the groove. This time of year, our favorite treat is S’mores! 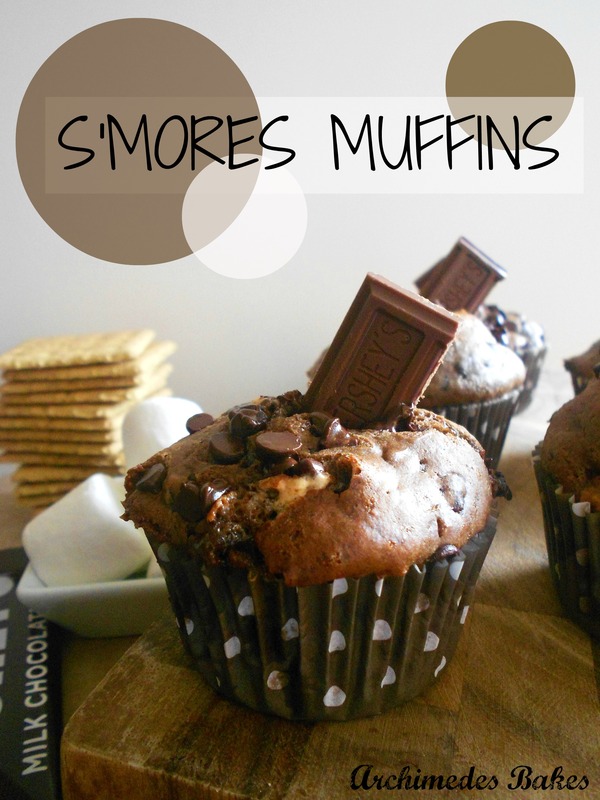 And we maker all different kinds….peanut butter cup, Snickers and of course, classic chocolate. And lately I’ve seen a lot of S’mores recipes so I got inspired and thought I would come up with one too! I jumped on the bandwagon and it has taken me all the way to S’mores town! 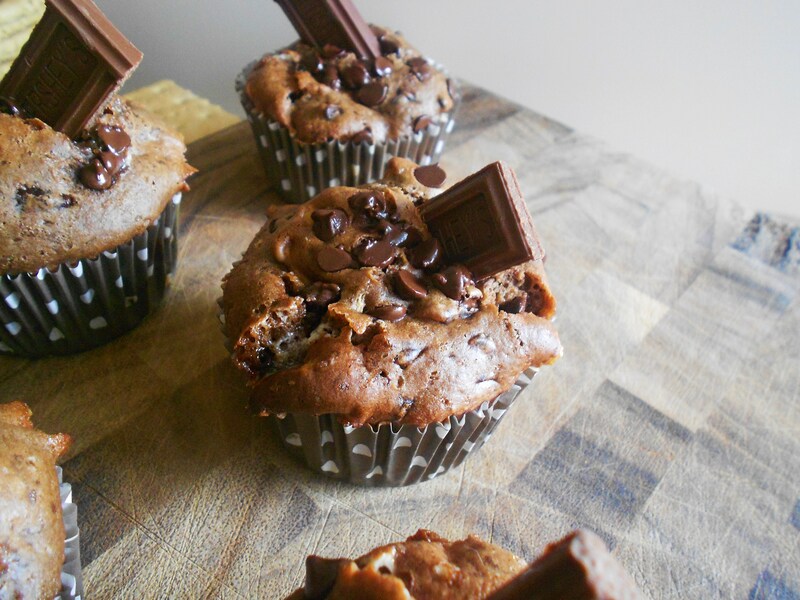 These muffins are a little bit sticky and a whole lot chocolatey! Was that proper grammar? Probably not, but you get my point! I hope you like them! Mix together the flour, sugar, baking cocoa, baking powder and baking soda in a large mixing bowl. In a separate bowl, whisk together the milk, vegetable oil, egg and vanilla until just combined. Pour into the dry ingredients. Stir until just combined, then add the chocolate chips, graham crackers and mini marshmallows. Stir again until everything is incorporated. Fill the muffin cups about 3/4 full. Sprinkle each muffin with a few mini chocolate chips. Bake for 15 – 20 minutes or until muffins are set and a knife inserted comes out clean. When cool, you can garnish with whatever you like or leave plain and they are absolutely delicious!